On 6 October 2015, the first edition of the yearly symposium 'Dutch Materials' took place. The six proposals that were selected for the 4TU.HTM research programme “New Horizons in designer materials”, were presented. In the Beatrix building of Jaarbeurs Utrecht the High-Tech Materials community of the - then - three Dutch universities of technology (3TU until May 2016) was represented by about 50 colleagues in materials science and engineering. Jilt Sietsma, Scientific Director of 4TU.HTM, welcomed them all presenting (Pdf file, 1MB) the goals and ambitions of the research centre. Biggest aim of 4TU.HTM is to collaborate! 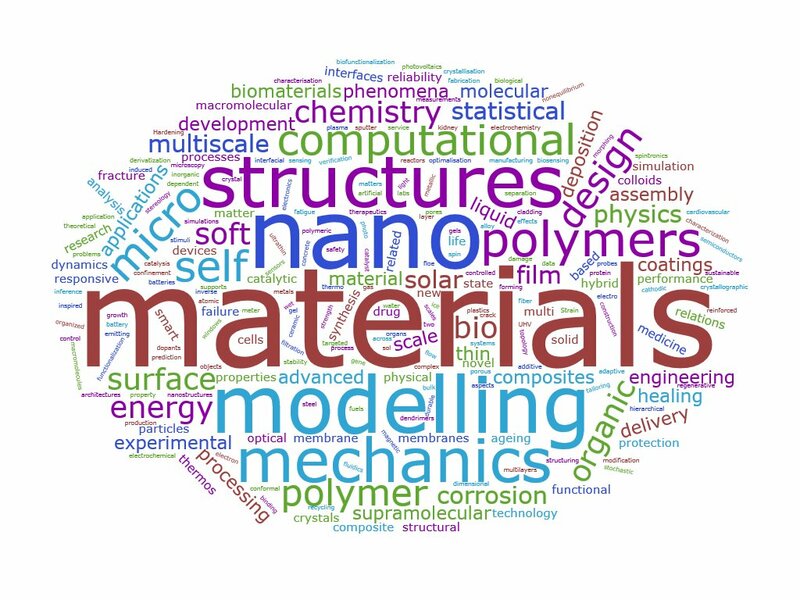 A survey of key words characterising the type of work scientists within 4TU.HTM do, shows that they all work on materials. Zooming in it reveals that there are a lot of categories in which the researchers from the three TU's find each other. This provides a lot of opportunities for the activities of 4TU.HTM. A key note lecture - Mechanisms of toughening of soft polymeric materials: some recent advances - was held by dr. Costantino Creton. He is a CNRS Research Director within the Soft Matter Science and Engineering Labatory of the ESPCI ParisTech. He also is a scientific chairman of the Performance Polymers technology area of the Dutch Polymer Institute. Moreover, he will be involved within the 4TU.HTM research programme project proposed by dr. Kees Storm and dr. Wouter Ellenbroek, performing the role of international expert. During this kick-off symposium the six proposals that will receive funding within the research programme 'New Horizons in designer materials' were presented and received with lots of enthusiasm from the audience.